Microsoft, today, released a new preview build for Windows Insiders running in fast ring PC. They have also released a new mobile preview build 15215. The PC build contains new changes to the My People app, improved game settings, system health status and many other fixes. Before going to download the new preview build from Redstone 3 development branch, don't forget to checkout the 'Known Issues'. When you receive emoji from your pinned contacts you can now watch them appear and animate right from the taskbar. The contacts pinned to your taskbar will now display a counter if there are unseen messages. You can now drag-and-drop files directly onto the contacts in your taskbar to start an email, or share directly to your contacts via the share picker by choosing from a list recommended people to email. Under Settings > Gaming > Broadcasting, you can now choose “Per-app audio” to broadcast using only the game’s audio. The Audio settings page under the settings in Game bar has been renamed to 'Game DVR'. A new page named "Game Monitor" has been added to 'Settings | Gaming', but the functionality will be added in future. 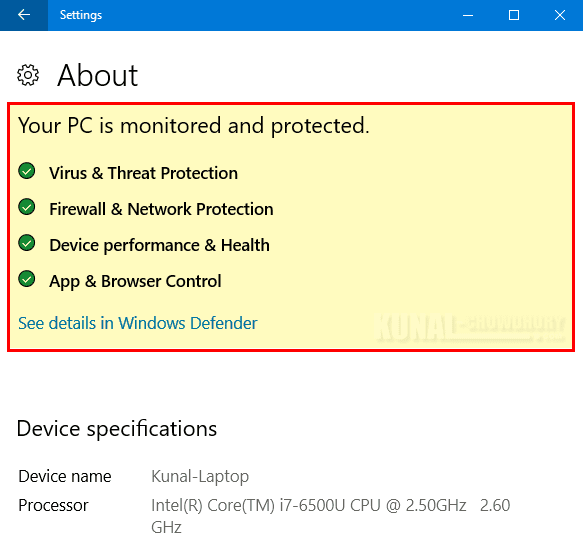 Microsoft has added a health section, under the About Settings page, that pulls information from the Windows Defender Security Center, so that you can see your system health at a glance. To help you learn more about your options, Microsoft has started adding tips and videos to the Settings pages. The content will increase gradually. 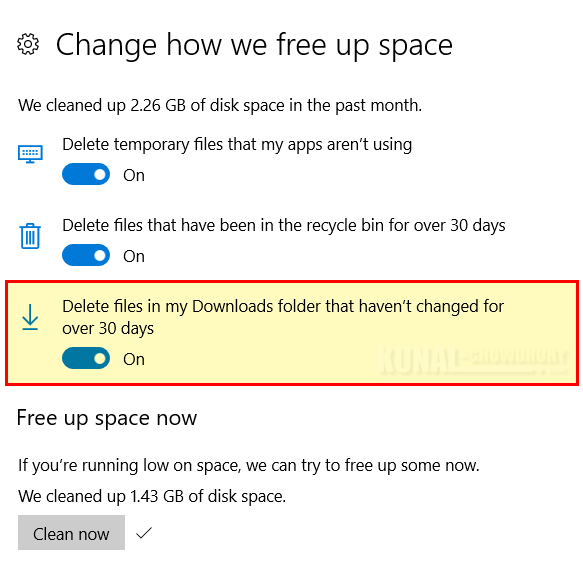 The storage sense got an update that will help you to automatically clean up files that have been unchanged in your Downloads folder for last 30 days. Apart from all these new changes, there exists a lot of improvements and fixes available in this build. As it is from the development branch and a preview build to get inputs from Windows Insiders, it contains known issues too. Don't forget to checkout the Release Notes and Known Issues as shared by Dona Sarkar in her blog post. If you have come this far, it means that you liked what you are reading (A new Windows 10 Redstone 3 build 16199 released for PCs in fast ring).